GP35 713, SD45 931 and SW1500 359 at Tulsa, Oklahoma on May 29, 1978 (John Nixon). GP35 713 at Springfield West Yard in February 1971. 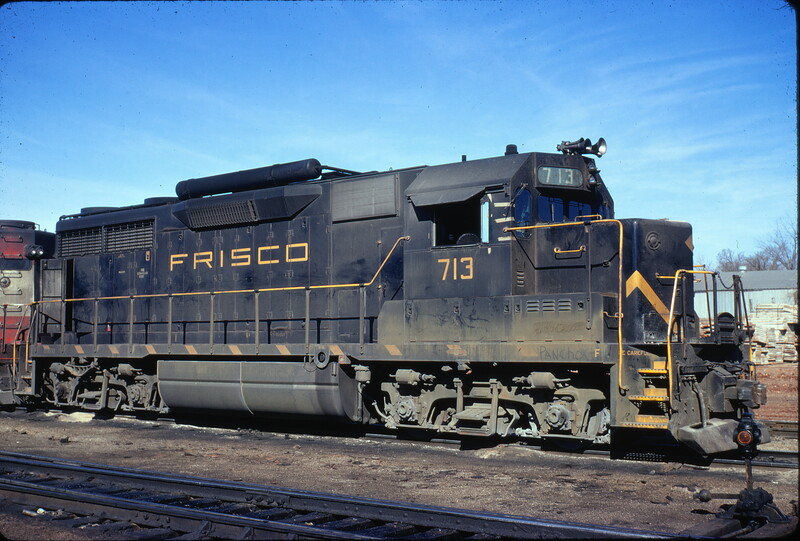 The photo was taken at the Springfield Kansas Avenue or West Yard. 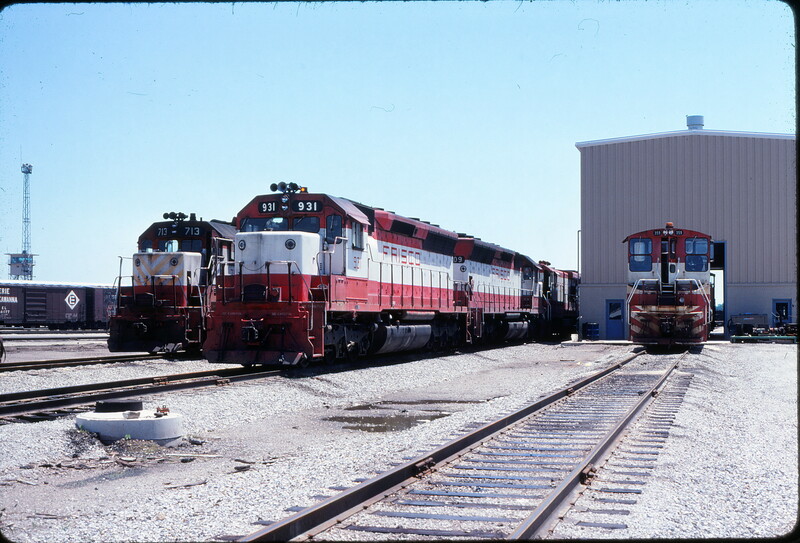 The locomotives are parked east of the Springfield Diesel Shop on the diesel pocket track. 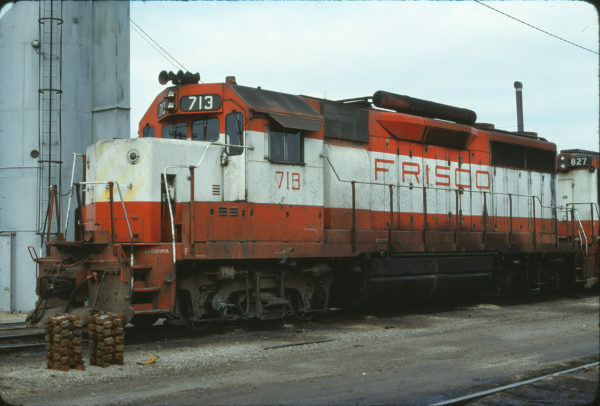 This track is east of the Kansas Avenue overpass and northeast of the Mechanical Department’s service tracks area. 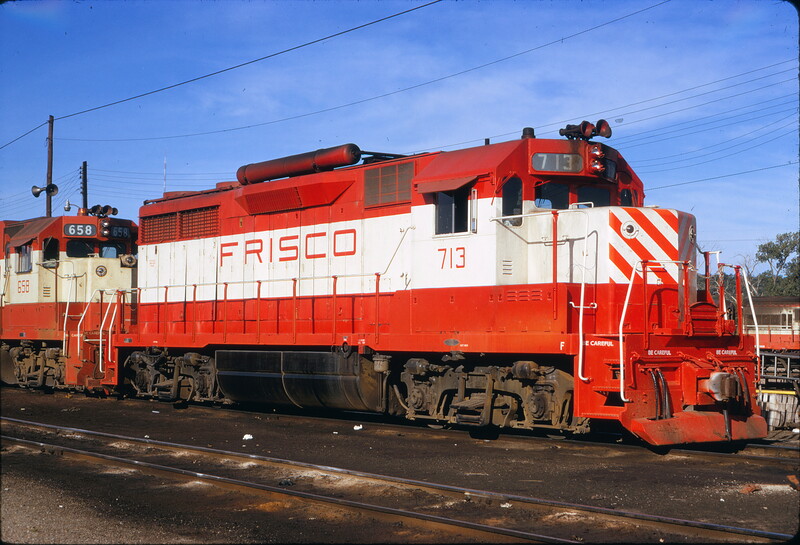 The pocket track is used for longer term storage of locomotives until they can be scheduled for work time, space, materials and manpower in the shop. 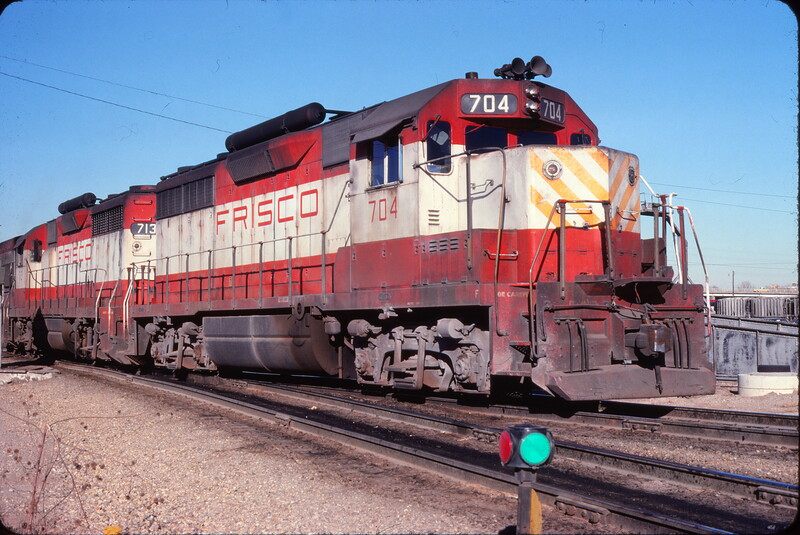 The track and turnout in the foreground lead to the east end of the service tracks area (diverging route) and further west the diesel shop (through route). 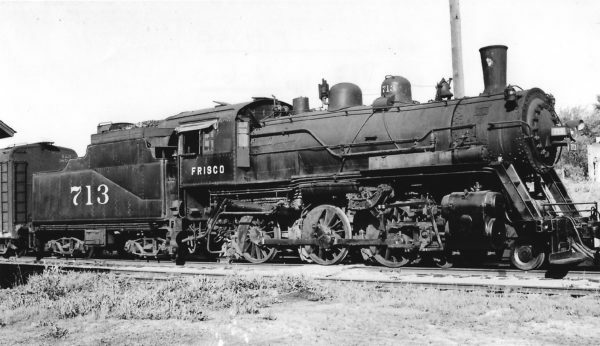 The track beyond the locomotive’s pilot is the lead to the west shops area, Benwood Yard and Clinton Subdivision. 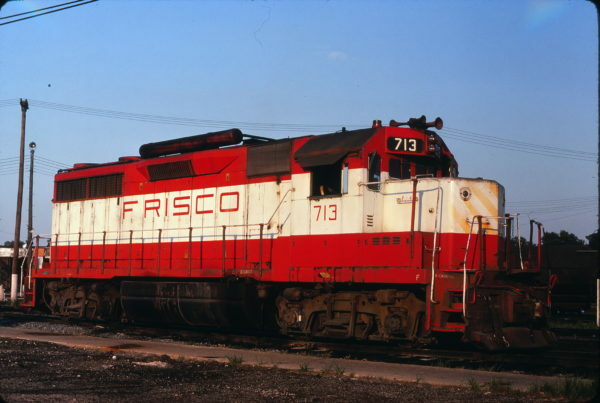 GP35 713 at Tulsa, Oklahoma on July 17, 1972 (James Claflin). 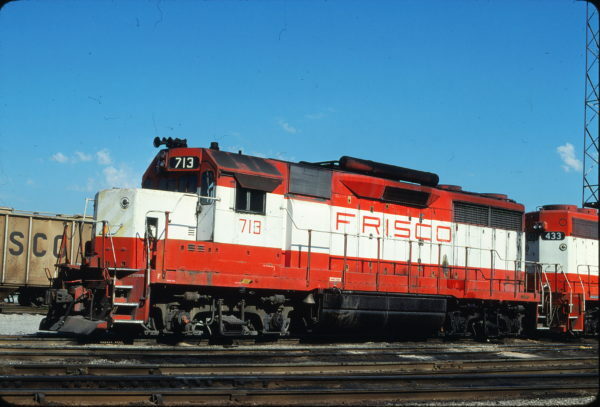 GP35s 704 and 713 at Tulsa, Oklahoma on December 29, 1976 (John Nixon). 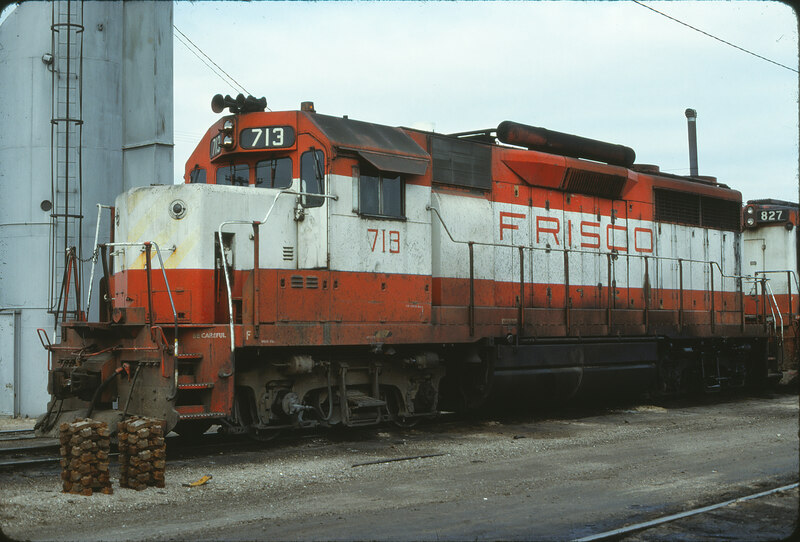 GP35 713 at Oklahoma City, Oklahoma on February 18, 1980 (Bill Bryant). GP35 713 at Kansas City, Missouri on August 25, 1980 (James Primm). 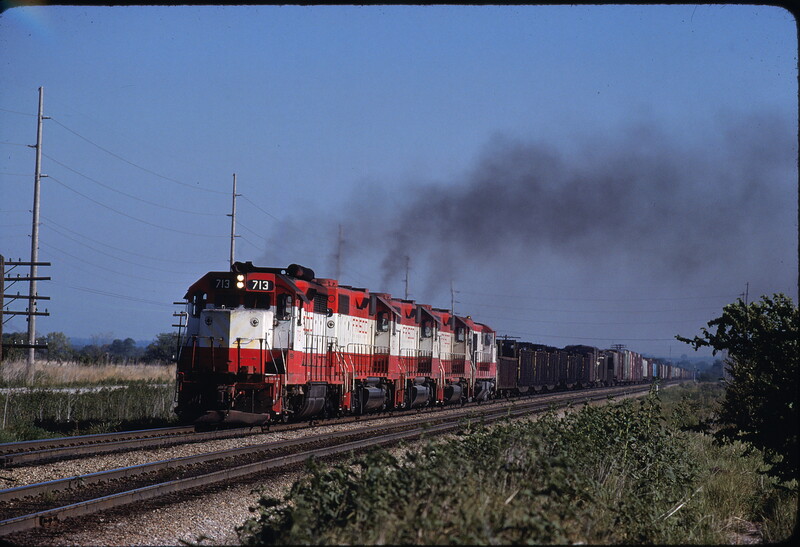 GP35 713 at St. Joseph, Missouri on July 19, 1979 (Mark Lynn). 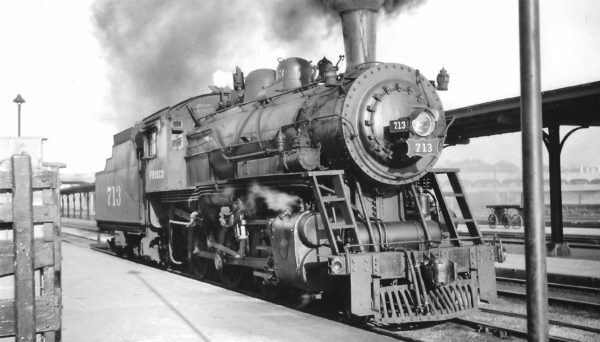 4-6-0 713 at Springfield, Missouri on May 9, 1948 (Arthur B. Johnson). GP35 713 leads a five-locomotive all-Frisco powered train at Fort Scott, Kansas in August 1980 (A. Bee).